Ford launched today the Figo Aspire compact sedan in the under four meter segment at Rs 4,89.990. Bookings for Figo Aspire have already began at token amount of 30,000. Ford is trying to cover all the segments under the 10 lakh. They have the Figo hatch, the EcoSport compact SUV and now the Figo Aspire, to build on to the trust of Figo. Dimensionally, the compact sedan is 3,995mm in length, 1,695mm in width, 1,525mm in height, and it comes with a wheelbase of 2,491mm. The vehicle comes with a large ground clearance of 174mm, which is more than sufficient to handle Indian road conditions. 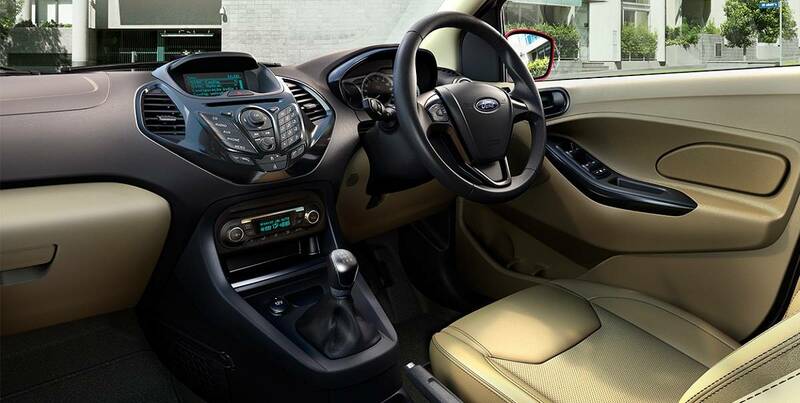 MyFord dock, MyKey are first in class with Figo Aspire. MyFord dock allows you to connect all your devices to car and MyKey allows people to program the top speed of the car and also mutes the audio system until the seat belt is plugged in. The new Figo Aspire is available in four trim levels- Ambiente, Trend, Titanium and Titanium+ and three engine options- a 1.5-litre TDCi diesel, and a 1.2-litre Ti-VCT petrol and a 1.5-litre Ti-VCT petrol. While the 1.2L unit is claimed to return a fuel economy of 18.16kmpl, the 1.5-litre petrol AT delivers 17kmpl. The oil burner is claimed to deliver 25.83kmpl of mileage. Ford surprised us with the pricing on this one. It has been priced lower than the entry level Maruti Suzuki Dzire and Honda Amaze. 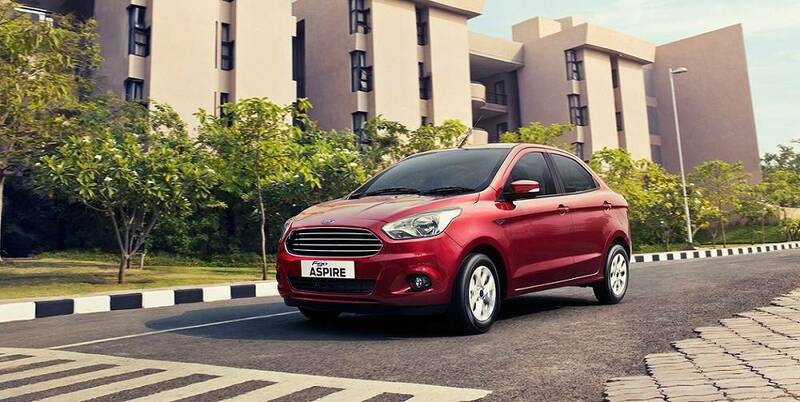 The entry level Figo Aspire costs Rs 4,89,990 while the diesel variant costs Rs 5,89,990. The petrol automatic with six speed dual clutch automatic transmission costs Rs 7,79,990. Figo Aspire is the best looking car and the most proportionate in the under 4-meter car segment. Ford have a sure shot winner on their hand with this aggressive pricing and the variants and options. Maruti Suzuki and Honda… Beware! !